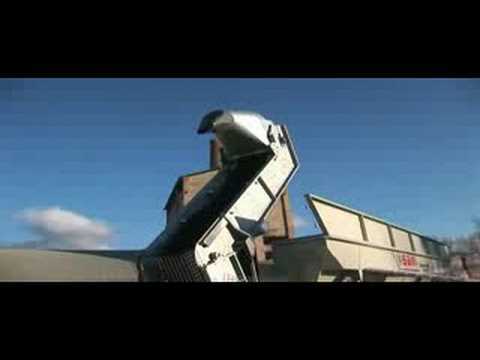 Concrete Batching Plant from Utranazz unrivalled by any of its competitors. The dry concrete batching plant is fully transportable, fully automated, have their own hydraulic off-loading legs and are capable of producing outputs of up to 80m3 per hour. The compact and easy-to-use design of each concrete batching plant ensures that they can be up and working within just an hour of arrival on site. Four off-loading legs enable the concrete batching plant to be loaded and unloaded from a truck without the use of a crane. During transportation the legs retract into the frame of the concrete batching plant and during off-loading they open out into a width that allows the truck to drive away or move back underneath. Every batching plant is custom made to suit customer specifications. Every plant comes fitted with load cells and a digital display with printer to enable constant control of raw materials. Utranazz can supply a wide array of accessories to work alongside all mobile concrete batching plants including: ad-mixture plants, low-level or upright cement silos, aggregate feeders and water chillers. We also offer a range of Precast Concrete Batching Plants.